Today begins the greatest adventure of all: shopping for your loved ones. (Or you could sleep in and start on Monday.) To help you lock on to the most optimal gift targets, we've created lists of the best DVD, book, toy and all-purpose fan presents. Here's our complete 2013 gift guide. 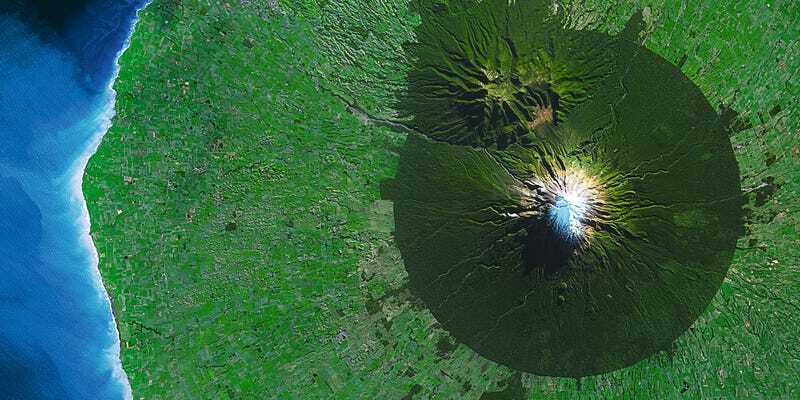 Top image: Mount Egmont, New Zealand, from the book Earth from Space by Yann Arthus-Bertrand.